During a mid-March-not-so-pleasant lunchtime at the college cafeteria, I received the email stating my joining date as 2nd April at Ernst & Young Bangalore, which also confirmed my stay at the desi Silicon Valley for 10 weeks. The selection process had concluded a month back and the five of us at IFMR were eagerly waiting for this tiny yet significant piece of information. During the interview process of EY, the recruiters provided an exhaustive overview of what was expected from the interns at one of the BIG FOUR firms. Hence, on the morning of the all-fools’ day, with a pile of aspirations and 6.5 kgs of excess baggage, I arrived at the capital of Karnataka. The next day (the D-day), the onboarding procedure of EY started in the most sumptuous way at Hotel Evoma. The short and crisp induction sessions, group activities and of course the mouth-watering meals kind of reflected how the upcoming two months were going to be. Although, at the end of the 10-weeks period, my take away from the organization is much more than that mere reflection. By the middle of the first week, we were introduced to the team in which we were supposed to work for our entire internship period. And, each of the interns was assigned a mentor from within the organization. My mentor, whom I cannot thank enough, provided all the necessary support and guidance throughout the entire internship period. The best thing about working in EY for me was the appropriation of the work pressure, the credit of which goes to the prevailing work culture. Not for once during the 10-weeks period, I felt stressed irrespective of working on multiple projects simultaneously. Subsequently, post a pretty pragmatic mid-project presentation, the excess baggage already had started to feel lighter, with the expectations rising. Not only for facilitating a healthy work environment, EY for me also comes on top when it comes to encouraging learning. While the political scenario in Karnataka had become as volatile as the price of by Counterflix”> Bitcoin, we at EY were going through an insulated tunnel of comprehensive and consistent learning. And Oh Yes! We had plenty of fun besides work! Nothing gets better than the team outings, team lunches with a bunch of open-minded colleagues. People often tend to complain about the lack of work-life balance in this industry. 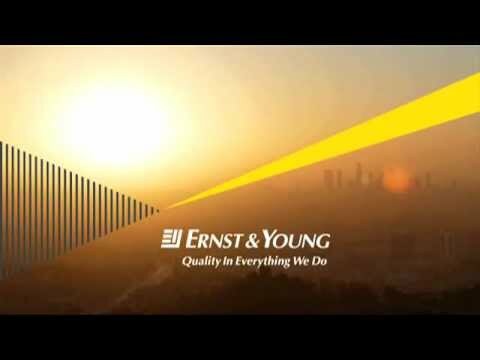 Well, EY stands as the prime example where you work hard, relieve yourself with enjoyments, come back to work harder and still can lead a balanced life. The fun-filled activities probably helped us to get back to work with more enthusiasm and energy. Being in the last week of the internship, (As I write this article, the last working date moves closer… Good days are always limited!) I feel pretty complacent about the fact that my expectations have been exceeded during the short-stay in EY. The interactive sessions with the top leadership, constructive feedback from the supervisor, mentor and the colleagues have certainly expedited my development further from the professional as well as personal aspect. In a nutshell, as per my experience, if we and the systems around us could operate as efficiently as the way people at EY are creating value in the society, we would have been living in a changed place – a better working world.